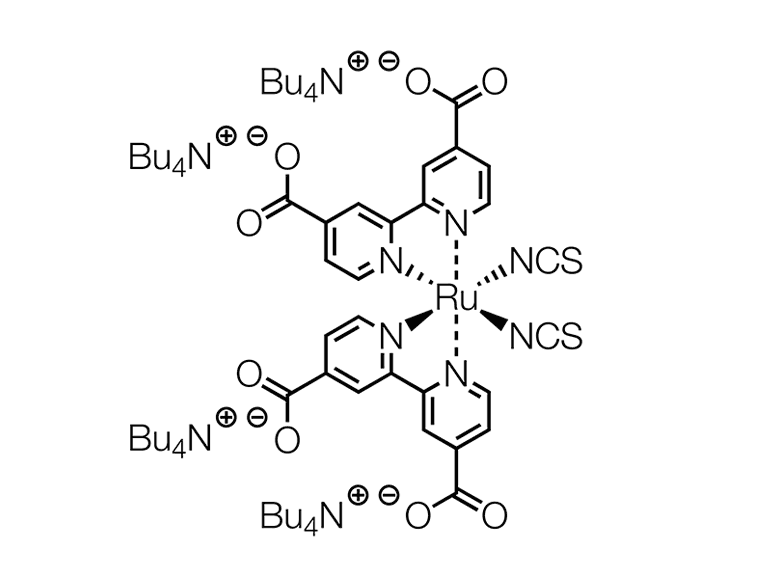 The Ruthenizer product line is composed of the very best ruthenium-based sensitizers. These dyes are especially suited for the sensitization of wide band-gap semi-conductors, like titanium dioxide in Dye Solar Cells. Our product family features all the acclaimed compounds of the Dye Solar Cell community along with additional ruthenium dyes suited for various sorts of photochemical experiments. 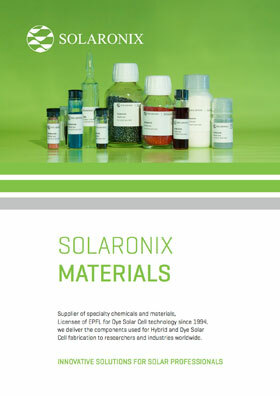 As a material supplier, Solaronix is committed to demonstrating the performance of our products. For this reason, we test all of our production batches in real Dye Solar Cells, made in-house, to guarantee the photovoltaic performance that our customers deserve. With over 15 years of synthetic and purification experience, we are able to deliver premium quality sensitizing dyes for solar cell applications. They are available in tailored quantities for research and development, as well as bulk quantities for the industry. Being the one-stop-shop for Dye Solar Cell materials, we also supply staining additives for use in conjunction with sensitizing dyes. 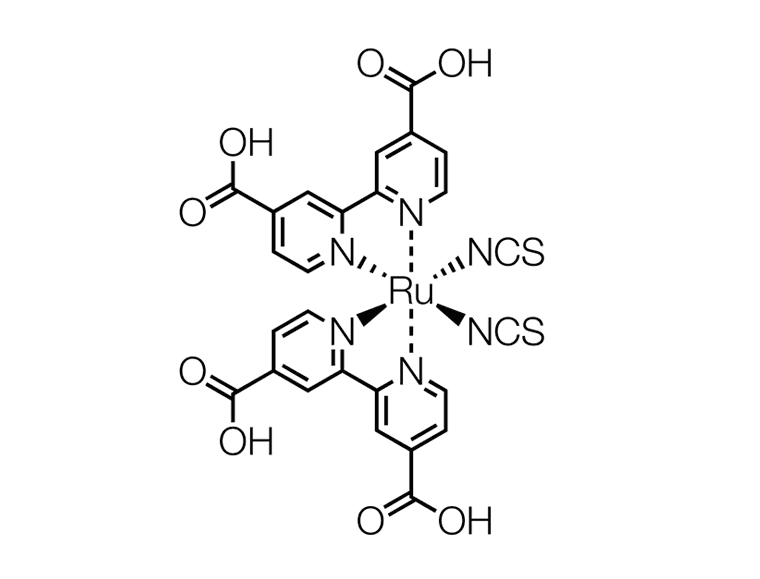 For instance, chenodeoxycholic acid is a proven compound for enhancing photovoltaic performances in the presence of ruthenium dyes. 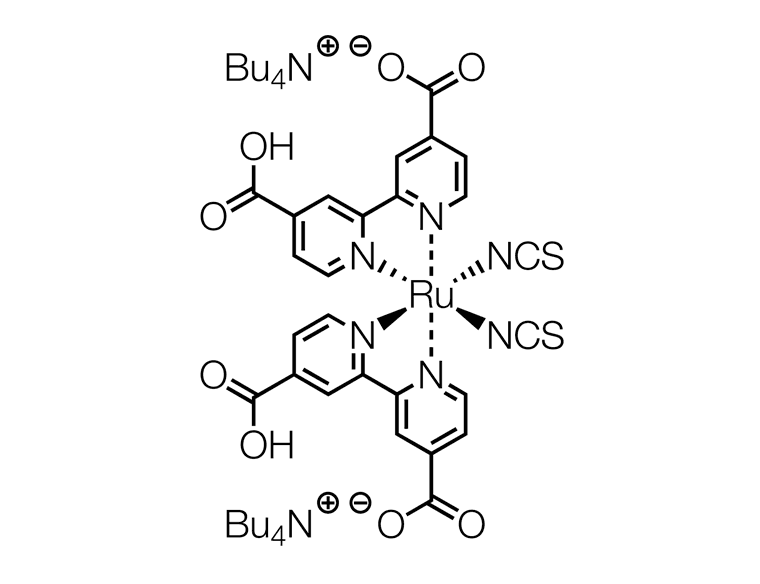 One of the best ruthenium dye for the sensitization of titanium dioxide in Dye Solar Cells, the industry standard. Ruthenizer 535-bisTBA is also known as N719 in the literature. The most widely used panchromatic dye, also known N749 or “black dye” in the literature. Ruthenizer 620-1H3TBA sensitizes titanium dioxide up to a wavelength of 920 nm. 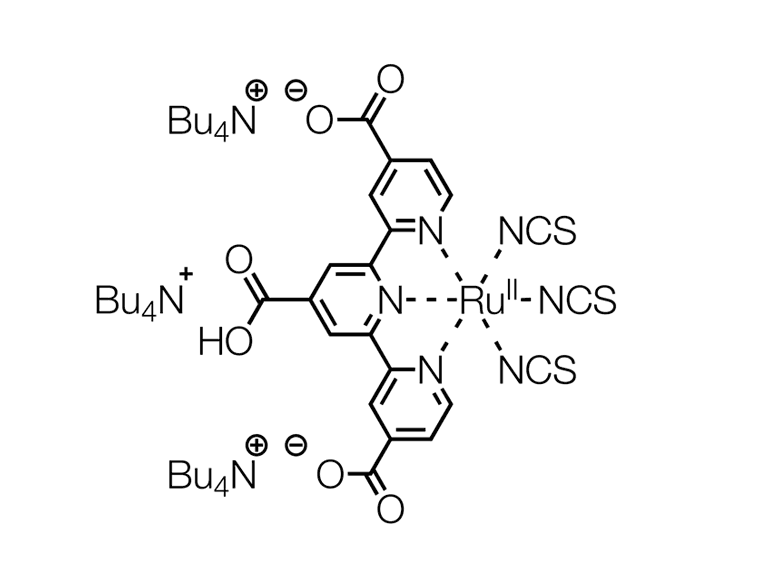 The original amphiphilic ruthenium dye for the sensitization of titanium dioxide in Dye Solar Cells, also known as Z907 in the literature. The analogue to Ruthenizer 535 with a fully deprotonated structure. Also known as N712 in the literature. 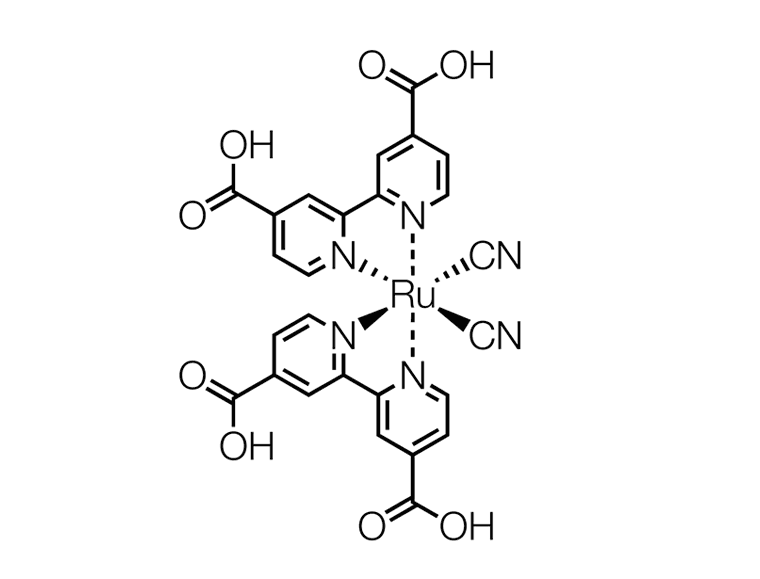 The analogue to Ruthenizer 535 with a favorable stability, suited for the study of the photo-degradation of ruthenium dyes. 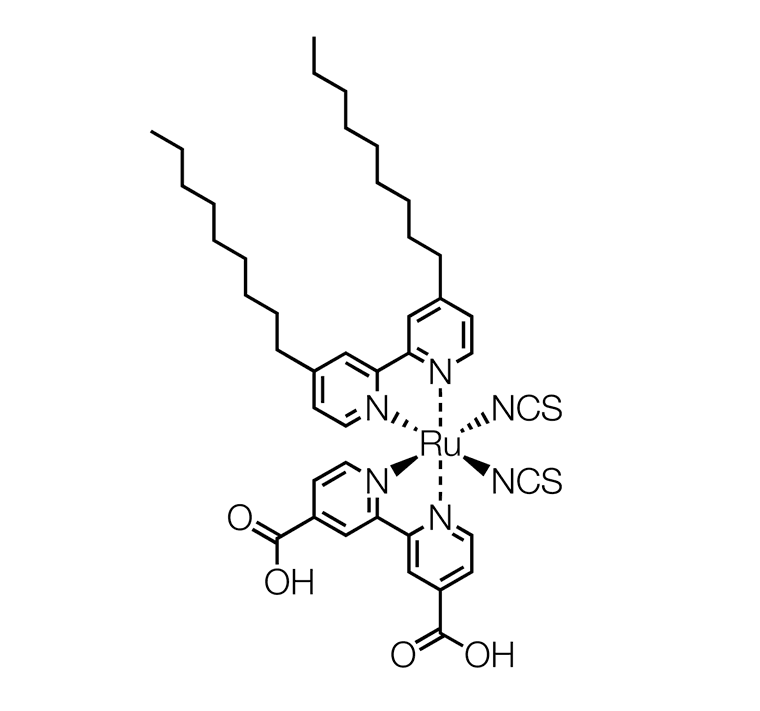 To be used as an additive in staining solutions together with sensitizing dyes, particularly our ruthenium dyes. The resulting electrodes can yield significant improvements to photovoltaic performances.